Reigning World Champion Michael Jung (GER) has established his position in the 2011 FEI World Cup™ Eventing rankings after Strzegom (POL), the fourth leg of the series. 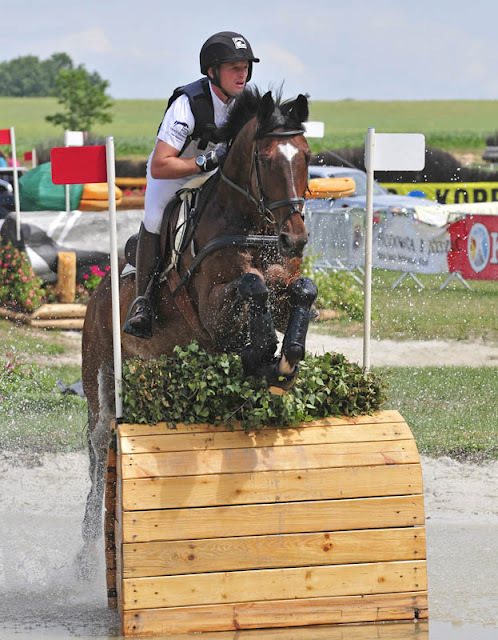 Reigning World Champion Michael Jung (GER) has established his position on the 2011 FEI World Cup™ Eventing rankings after scoring an emphatic one-two at Strzegom (POL), the fourth leg of the series. 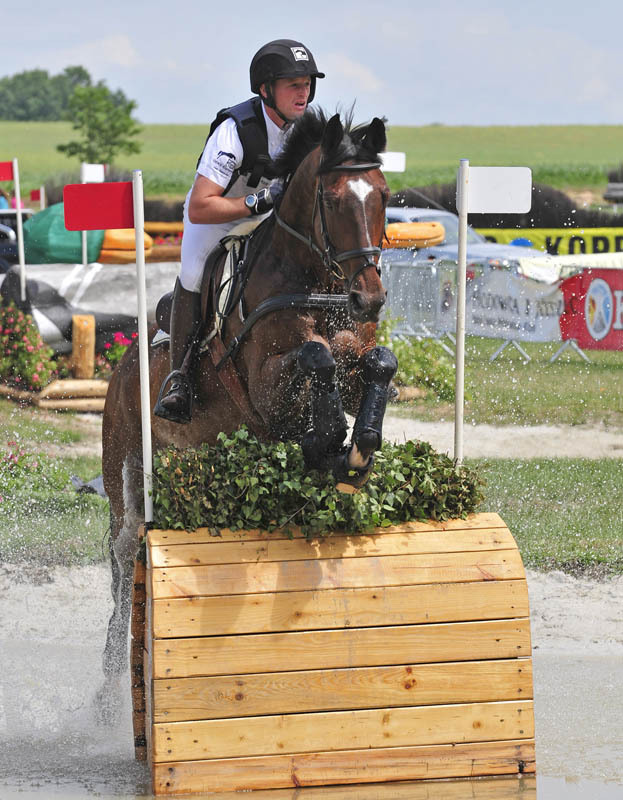 In a remarkable record, Jung, the reigning Series Champion from 2010 and winner of the 2009 FEI World Cup™ Eventing Final in Strzegom was winning at this leading Polish venue for the third consecutive time. The German rider was in first and second position throughout the competition, only swapping the order of his horses in the final phase when Leopin, which had been re-routed after retiring the previous weekend in Luhmühlen CCI4*, jumped clear to take the top spot. Leopin was the only horse to achieve the optimum Cross Country time and, with his faultless Jumping round, was the only horse in the competition to complete on his Dressage score. The Cross-Country leader, La Biosthetique Sam, the brilliant horse on which Jung won individual gold at the Alltech FEI World Equestrian Games™ last year, as well as the Luhmühlen CCI4*, the FEI World Cup™ Eventing Final and a European bronze medal in 2009, faulted just once in the final phase to drop to second place. Jung has now rocketed into third place in the FEI World Cup™ Eventing rankings. With just three events left to run, he has to score another win, at Minsk (BLR), Malmö (SWE) or Haras du Pin (FRA), to overtake the series leader Clarke Johnstone (NZL) and claim the major share of the prize-pot. German-based Japanese rider Yoshiaki Oiwa, who has made a great recovery after his injury in a freak riding accident, finished third and sixth at Strzegom. He now needs to score a win, or two top placings, to feature in the top three of the FEI World Cup™ Eventing rankings. An impressive total of 11 nations featured at Strzegom, with 24 of the 32 starters completing the competition and 17 jumping clear across country, but the major disappointment for the home nation was the withdrawal overnight of Pawel Spisak (POL) from fifth place on his top horse Weriusz. To view the standings online, please click here.